Crunch gym in Los Angeles, CA fuses fitness & fun through awesome group fitness classes, miles of cardio, top-notch equipment, and personal training, all in month-to-month memberships! 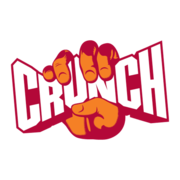 Rate and review Crunch Fitness - Sunset in Los Angeles, CA, United States! Share your experiences at Crunch Fitness - Sunset with your friends or discover more Gyms in Los Angeles, CA, United States.